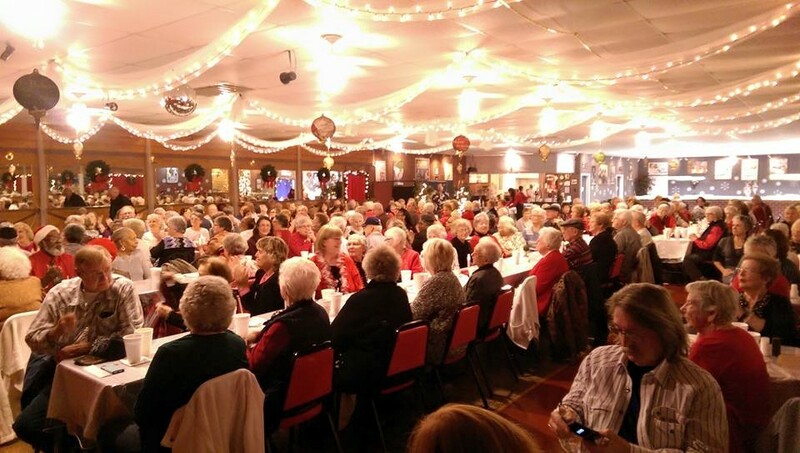 Senior Lunch Matinees: Our series of once-per-month Thursday lunch shows for senior groups continue through Dec 2019. This series is open to all senior church groups, senior center groups, senior civic groups, clubs, etc. This series presents a complete lunch including drinks and desserts, and live entertainment featuring some of the region's best performers. ***Except for Special Shows the complete lunch is $12 per person and the show is free with paid lunch. We e-mail our advanced notices to our senior group leaders who collect from their members in advance, providing them with tickets for admission using our ticket template. The group leaders pay us directly for their groups at the event. All seating is reserved, groups are seated together, doors open 10:30am, events start at 11AM with seating, opening announcements, blessing, and lunch, with show beginning about 12 noon. (About 1 hour show) We have bus parking available, e-mail reservations are required info@yesterdaysevents.com 2019 Senior Lunch Matinee dates below. Nov 21st Inspirational show featuring "Replay"